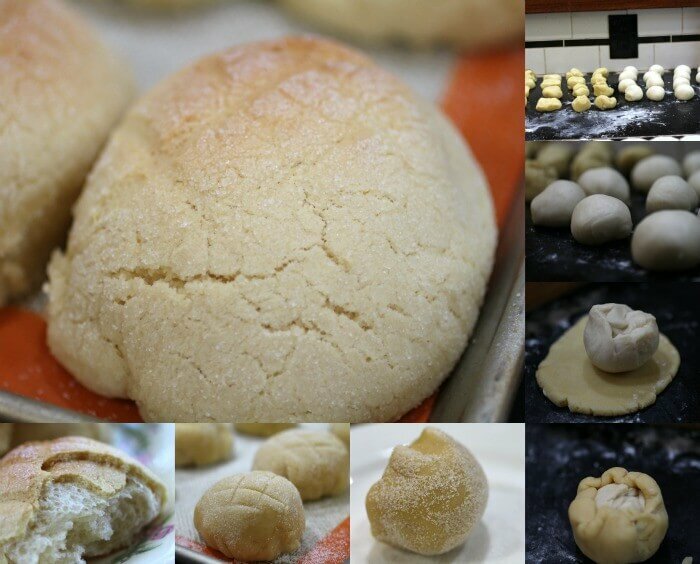 Restless Chipotle » Melonpan Is an Unusual Japanese Snack Bread that You’ll Love! Melonpan is a snack from Japan. It’s made to resemble a melon and is very pretty when you put it on the table but that’s not what makes it cool. The coolest thing ever about melonpan is that is is a soft, rich, airy roll covered in a layer of crispy, sweet sugar cookie! The different textures are fantastic together. First you get the crisp, sweet cookie and then you get the soft cloud of bread. I think it would be a nice addition to a brunch as well as being a cool anytime snack. 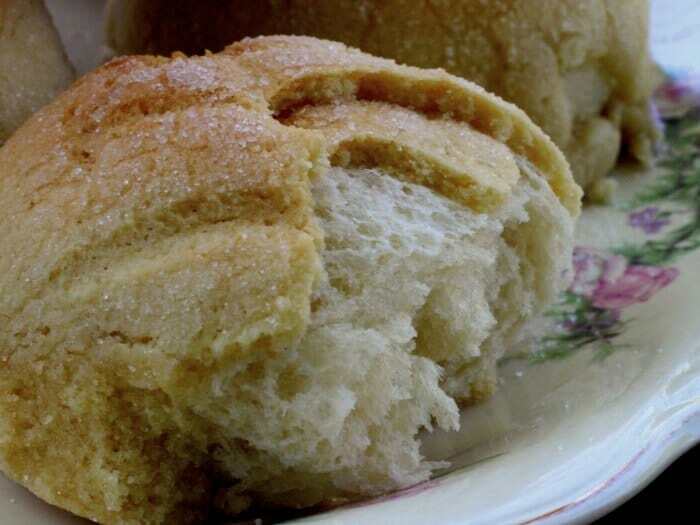 The name literally means melon bread and it is named that because the baked rolls do resemble a cantaloupe. If you use your imagination a great deal, anyway. I’ve had a thing for Japanese culture since my first grade class studied it and the teacher had a Japanese lady come in dressed in a kimono, obi, sandals, and traditional makeup. She showed us pictures of Japan and I knew that I was going to go there someday and see the cherry blossoms. Well, I haven’t been there yet but I have two sons who have lived there and that’s almost as good, right? Isn’t it funny how one experience can totally change your life? I love teachers that teach with that kind of imagination. It’s tough for them to do now between testing and lack of discipline and I find that too depressing for words. Here are the step by step images for forming the rolls. These are best when they are first made. Don’t keep them around just make ’em, eat ’em, and share ’em. A sweet Japanese snack roll with a crispy sugar cookie outside and a buttery tender cloud of bread inside. Make the sugar cookie dough and put it in the refrigerator to chill. Add the yeast and sugar to the water and set aside for 5 minutes. Add the rest of the ingredients except sugar cookie dough and knead until the dough holds ogether in a soft ball. It will be slightly sticky. This will take 4 to 5 minutes with a mixer. Put the ball of dough in a greased bowl and lightly grease the top. Cover with a tea towel. Let rise for about an hour, or until double. Punch down and divide the dough in 16 equal sized pieces. Get the sugar cookie dough and divide into 18 pieces. Flatten a bread dough ball and then shape it into a ball with a smooth top. Do this by pushing the dough up through a circle made by your thumb and forefinger. Tuck extra dough underneath. It's easier to do than to explain! Now, roll a cookie dough ball into a 3 inch circle. Put the bread dough ball in the center of the circle, smooth top side down. Gently pull the sugar cookie up around the bread dough, keeping it smooth and leaving a circle of the bread uncovered by cookie dough. Gently roll the top of the dough ball in sugar. Put the ball with the uncovered side down on a cookie sheet covered with parchment or silpat. Use the edge of a knife to dent the top of the dough in a checkerboard pattern. Do not cut through the cookie! Let rise for 1 hour, or until double. Eat fresh, these don't store well. I am going to try this recipe. It sounds great! I have a question on it. Why do you divide the cookie dough in to 18 pieces and the bread dough in to 16 pieces? Is it that a half recipe of sugar cookie dough makes slightly too much dough for 16 rolls? If yes, did you just bake the last two sugar cookies? Thanks! I think that was probably a typo. LOL! Love japanese food! This bread looks really fun to make! You know, Josie, it really was! I like trying new things! Oooh these sound so good!! I’ve never heard of them before but will definitely have to try them soon. I hadn’t heard of it either.. glad I decided to try it tho! This looks great. It kind of reminds me of pan dulce, Mexican sweet bread. Guess I will have to make this to find out how close they are. Sort of but the crust is different. Let me know what you think. This looks so light an delicious Marye, I love it! Thanks! They were really good. Kinda addictive. Melon bread is amazing. We buy this all the time at our local Japanese grocery and my wife and kids eat this stuff up lie it’s going out of style. Now that we’ve got a recipe, I’ll have to try to make this myself! Jerry, let me know what you think… I’ve never had the “real” thing. 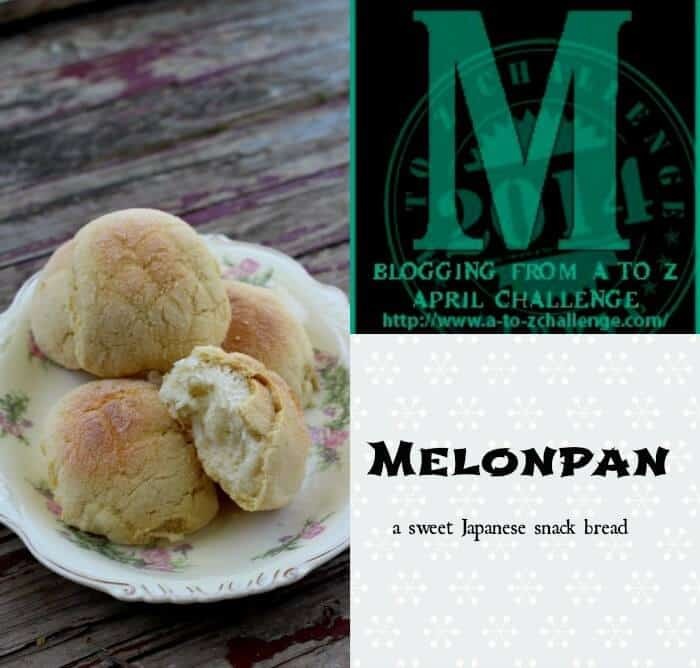 Love different cultures and this melonpan is a real winner…Can just imagine how wonderful they taste with the sugar cookie dough! Two boys lived in Japan? Hope you got some souvenirs, and it’s your turn to visit next for sure! It is really unique. I love it.